Last Week for "Chess Clash" … voting ends September 21st! FMs Ryan Harper and Kenny Solomon have represented their respective countries (Trinidad and South Africa) and are both aspiring to reach the top of their games. As any strong player would know, a major part of the training process is game analysis. Last month both Harper and Solomon engaged in a war of words… in the form of chess annotation. 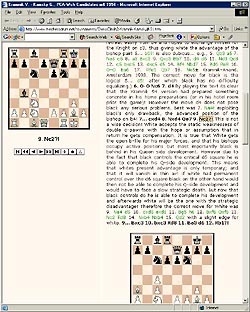 Both demonstrated their prowess in annotating the exciting Kramnik-Kamsky from their 1994 World Championship Qualifying match. It's now your turn to vote for what you feel are the best set of annotations. There is only a week left for voting! Votes have come from around the world… even remote places such as Mauritius, Montserrat, New Zealand and Greenland. 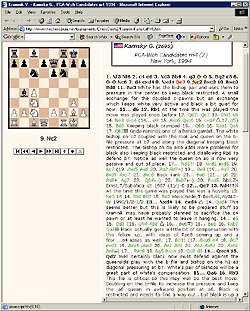 Voting ends on the 21st of September and is for those who can understand the art of chess annotation. Place your vote for the "Chess Clash" King!